Editor’s Note: Nadege Green, WLRN’s social justice reporter, is the 2018 Ruth Shack Leadership Award honoree. Here, Ryan Pontier shares why he submitted the nomination for her. I remember Nadege weaving a story and dialogue that was so raw and real that I could hear a woman in pain cry out for help. Then, I realized the voice was from one of my students, a mother who lost her son to gun violence in our community. 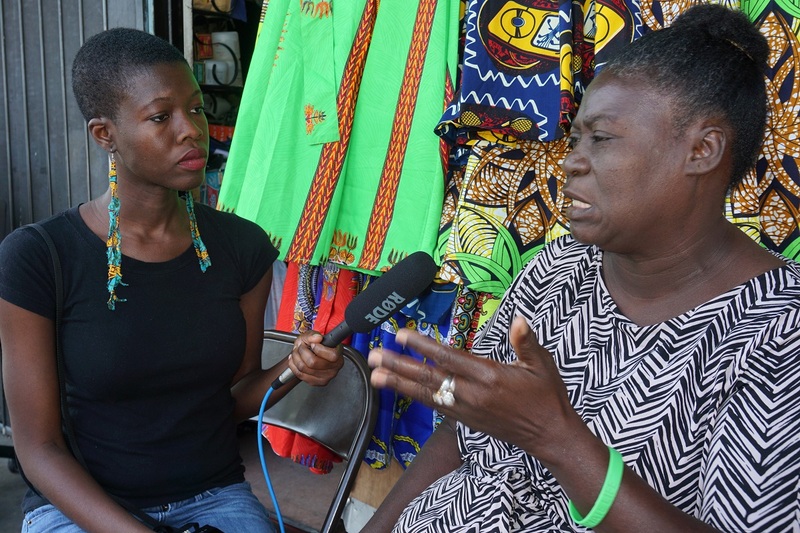 As a reporter with WLRN, Nadege Green exemplifies why journalism still matters. She uses her platform to lift the voices of community members who are often marginalized, and she challenges her listeners, colleagues and friends to continuously think from the perspective of the forgotten ones. Nadege engages Miami in conversations and action around what is right, what works and what holds us back. Her work cuts across the most important, contemporary issues facing our community: gun violence, housing affordability, education, access to the arts … always with a penchant for telling the truths that usually go unheard, unrealized and unsupported. When the world focused on Parkland, Nadege did, too. However, she did it by doing what she had done for years, elevating the voices of the many students of color systematically silenced, even though they have fought the same fight for far longer. This is the kind of news we might not otherwise hear. When you listen to one of Nadege’s stories, it is impossible to move to your next activity without serious introspection. For those who have lived the experiences she highlights, I have heard them say they feel seen and heard—some for the first time. For others, we are pushed to think beyond our comfort, not only to explore the systems and institutions of inequity, but also to break them down and make our community a better place for all. Nadege inspires me to become a better person. She challenges me to live my life in a way that steadfastly questions and disrupts the systems of oppression that promote inequity in our community. She asks herself how she can use what was handed to her and shine a light on what matters. She has done so with love, with passion, with understanding, with curiosity and with emotion. Nadege may tell you that reporting is just what she does. But her impact on our community is more than that. Like Ruth Shack, The Miami Foundation’s president emeritus and a passionate champion for Greater Miami, Nadege unwaveringly lives every moment of her life striving to make our city achieve its vast potential. I can think of no one more deserving of the Ruth Shack Leadership Award … Miami owes her our gratitude. Ryan Pontier is a Miami Fellows Class IX alumnus. Wow. It is wonderful that Nadege shares through stories. We have had stories of God’s love since creation and Nadge exemplifies that love. Thank you! Well said and well deserved! Thank you for illuminating areas often forgotten. Excellent! I remember driving and listening to Ms. Green tell the story and interview children who had survived being shot. I had to pull over and listen because the story opened my heart to a very tragic, but necessary and vital fact. As a visual artist I am sure that the “bright moment” I felt then has had a major impact on my work. Thanks Nadege. At this point in time when so much reporting, whether on TV, radio or in print, is shallow, incomplete, misleading, not based on facts or even intentionally false, it is our good fortune to have Nadege Green in our community bringing us the real news with ethical journalistic professionalism and compassion. Congratulation, Nadege! Glad to know the caring, intellingent, vibrant Ms. Green is in our community making a difference, telling her stories, teaching us, inspiring us. Awesome article. I also feel that Ms. Nadege Green deserves the award thanking her for her love and compassion towards all. Thank you Nadege for bringing to your listeners the stories that aches our community. They are a cry for justice and we are listening.